If there’s one thing I didn’t expect to see a lot of in Paris, it’s sneakers, but they were there on my feet, on the feet of the FROW and on the catwalk too. It seems that luxe trainers have moved on from high tops and on to a style more commonly associated with skateboarders and tennis players. 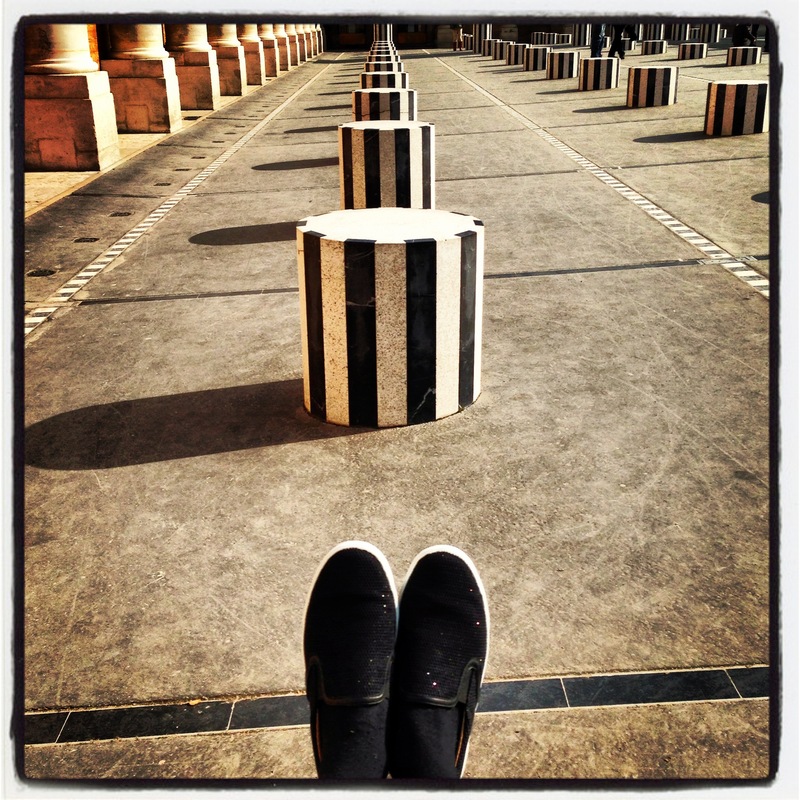 me in Paris in my Jimmy Choo sneakers BUY THEM HERE! 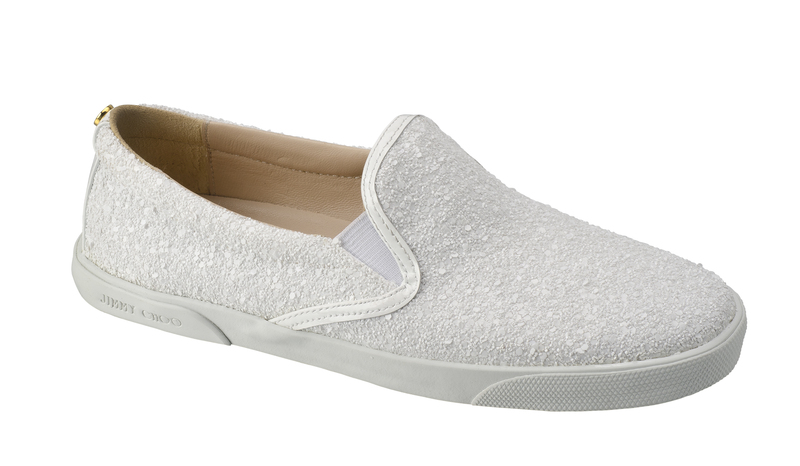 These easy Jimmy Choo slip ons have a glitter finish so they look great either dressed down with jeans or dressed up with a leather mini skirt (as I wore them). They come in lots of different colours too, I’m rather fond of these white ones. 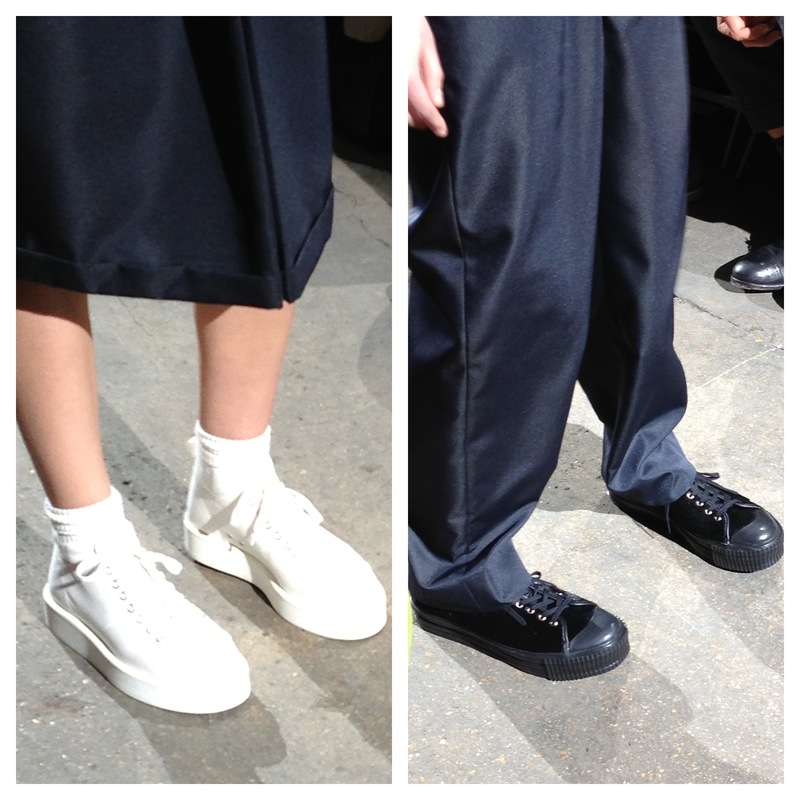 On the catwalk, it wasn’t a massive surprise to see trainers at Comme des Garcons, but I managed to get such a good shot of them (because I was late and nearly missed the show so was standing with the photographers! ), that I thought I’d share them with you. Of course, you don’t need to spend a fortune to recreate this look as a plain tennis shoe is pretty easy to find without breaking the bank. I love Superga sneakers for their comfort and simplicity, and Zara is also pulling its weight with these lovely black raffia lace-ups. 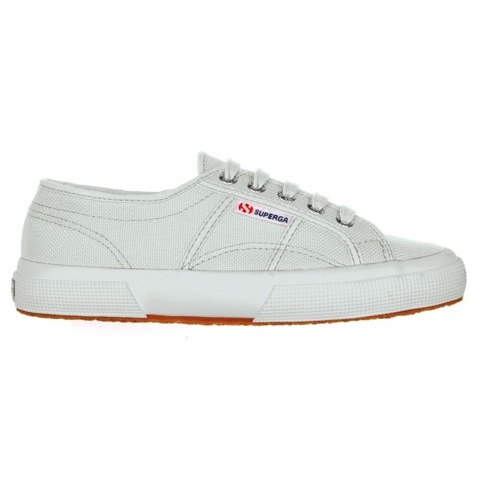 Superga 2750 Cotu Classic, £45 (superga.co.uk) BUY ME HERE! 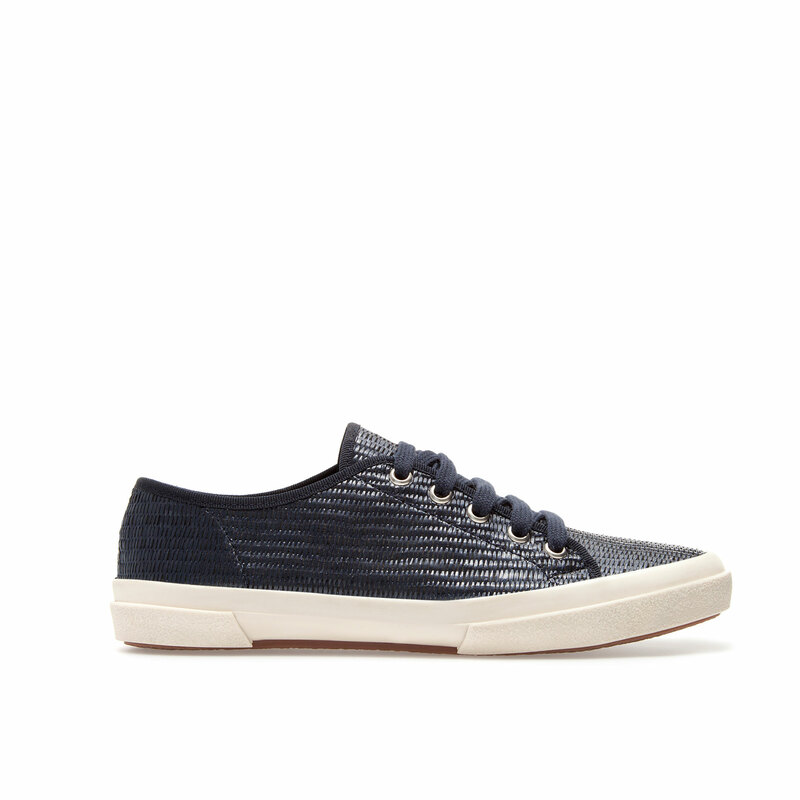 Zara raffia sneakers, £39.99 (zara.com) BUY ME HERE! 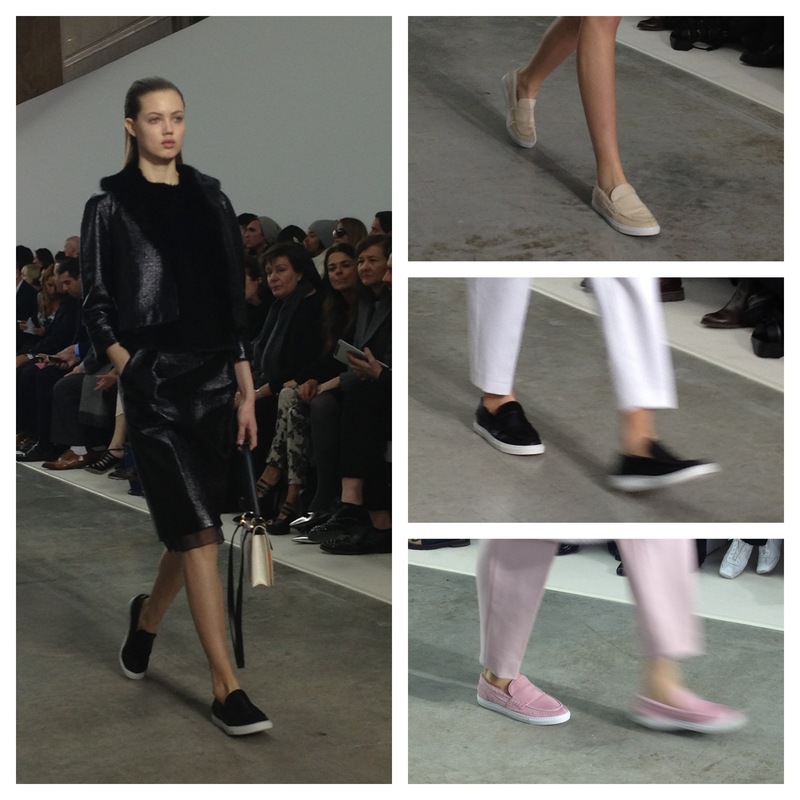 Then at Giambattista Valli, a quite unexpected loafer/skate shoe hybrid graced the catwalk. I loved the way they were styled with luxury skirts and evening dresses. This is my kind of occasion-wear! The brand that a lot of these styles are paying homage to is skate shoe pioneer Vans, which hot label of the moment Kenzo has been collaborating with since last year. But for a cheaper alternative to the designer collection, just look at the Office website; it has over 100 different styles of Vans alone. This pair with its splatter print design are really cool. 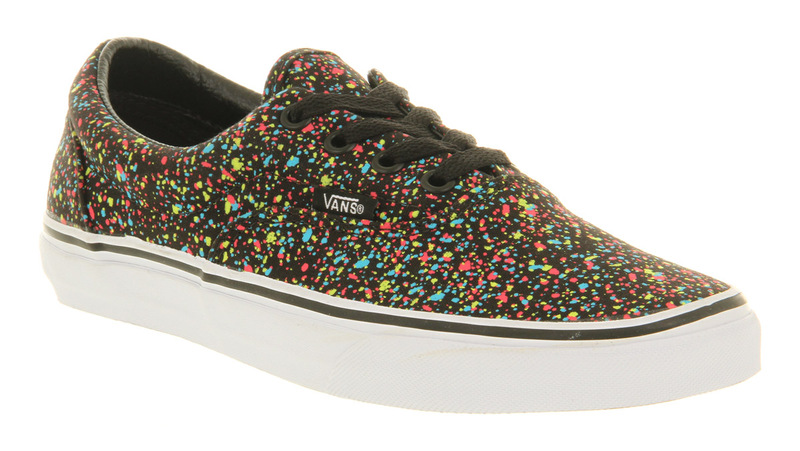 Vans, £54.00 at Office (office.co.uk) BUY ME HERE! 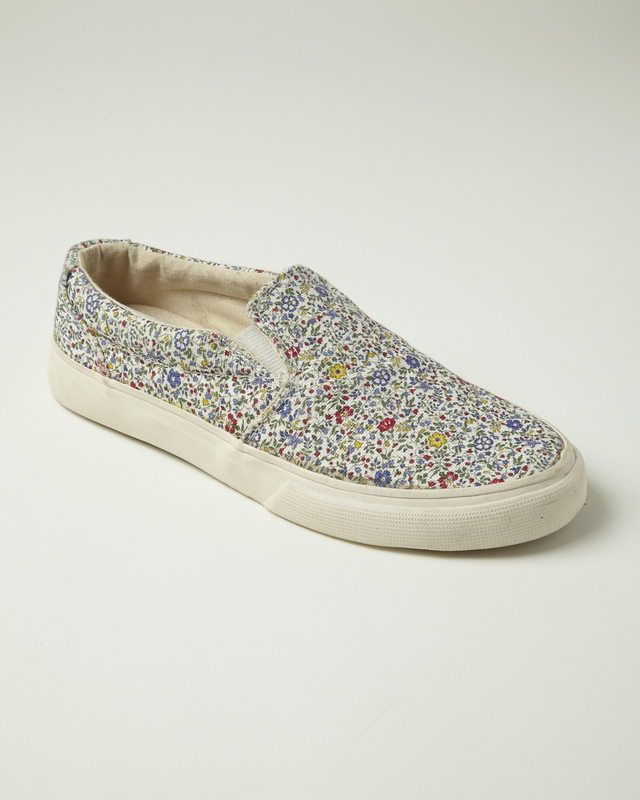 And if you liked those, you’ll love this collaboration between YMC and Liberty. I’ve always meant to get myself a pair of the Liberty x Nike trainers but now I’ve seen these, I think they’re going top of the wish list! They’re not available online just yet, but will be soon.